EquiMind rules on the use of aids and the ethical treatment of horses will take precedence over respective rules of above societies. Any circumstance not covered by any of these rules will be handled at the discretion of EquiMind. Riders may wear suitable riding clothes, a correctly fitted riding helmet and riding gloves, or competition gear. We have no requirements in terms of discipline specific tack as long as saddle and bridle are suitable in size and fit. Depending on the class, the use of humane riding aids is permitted. All bits and tack have to be safe for use; under no circumstance, we will allow any tack and equipment considered harmful to the horse’s welfare. The use of side reins is not permitted. 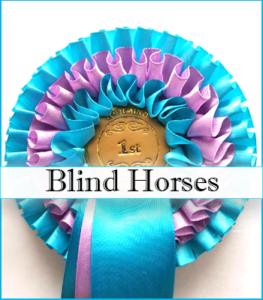 We welcome riders who prefer to compete bitless and bridleless. Horses may wear bandages or boots as well as eye and ear covers as long as it serves their safety and well-being. Any video of a dressage test must be ridden in a correctly measured “arena” of either 20 x 40 or 20 x 60. Any surface will be accepted as long as it is safe for rider and horse to be used. Any video of an individual show can be ridden or shown in hand on any surface, as long as it is safe for rider and horse to be used. All dressage videos must be recorded from “C”, all other videos as indicated for the discipline. We appeal to all competitors not to use videos of previous shows they have attended. First of all, the quality might be of inferior quality due to other competitors in the picture and the incorrect position of the person filming the video. If a video is not recorded according to our rules we will make any effort to help the competitor by accepting a new video but reserve the right to reject such entry. All photos and videos can be uploaded to our Facebook Rider Group (all videos & photos will be moved to our database, and not shown on Facebook if requested by the competitor), Dropbox, We Transfer, or YouTube. Competitors are required to check all possible copyright issues since EquiMind will not admit any liability or costs incurred as a result of copyright infringement. We will not accept any tests which have been edited. All videos & photos have to be recorded and submitted with the highest possible resolution. No entry will be accepted unless proof of payment is be provided. More than one entry per class is permitted, as long as every video entry is paid for in full. We appeal to all riders to enter appropriate classes. Riders/horses with BD dressage points and/or combinations who have competed at HOYS should always enter open sections. We will always try and ensure that less experienced riders and horses will compete against riders/horse of similar experience. We reserve the right to dividing classes into Restricted/Open, Juniors/Seniors, Para Riders/Handicapped Horses. We will automatically enter horse/rider combinations in open sections should they achieve three scores of 70% and above at any level in any discipline. Practice classes are open to any rider/horse combination regardless of their experience. Prizes/Rosettes will be awarded to all riders/handlers. Should the entries for one class warrant different sections, rosettes will be awarded accordingly. Every month, additional prizes will be awarded to the riders of video classes with the highest and the lowest score for each discipline. EquiMind reserves the right to refuse an entry without stating a reason. The rider league will accumulate all placings of one rider/handler for one calendar year. Every rider/handler may compete with different horses.